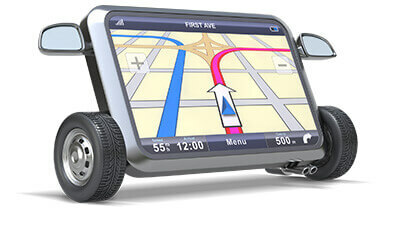 Free GPS with your car rental! The days of large folding maps and confusing instructions are long gone! Getting from point A to point B is now made easier and faster with navigational instructions and advanced technology leading you in the right direction. And why not, Globe Car Rental offers you a FREE GPS! No strings attached. With turn-by-turn directions, you’ll coast your way through unfamiliar cities for a more stress-free car driving experience. It’s Free: How about that!! Most of our cars come with Free GPS. Simply ensure that you select Free GPS at time of booking. Save your data: Sure you can use your cellular data and various apps for maps when travelling but you will pay overage charges with your carrier for heavy data usage. You will also pay roaming charges when you drive into other provinces or cross the border if you are going into the USA with your rental car.